In an age of grab and go eating, it seems somewhat odd that a fast food restaurant would feature an attraction that causes its patrons to drop anchor and stay. However, the house with well over one billion served is doing just that. A Virginia Beach McDonald's has leveraged the popularity of another Big Mac maker, by stocking its location with free to use iPads. 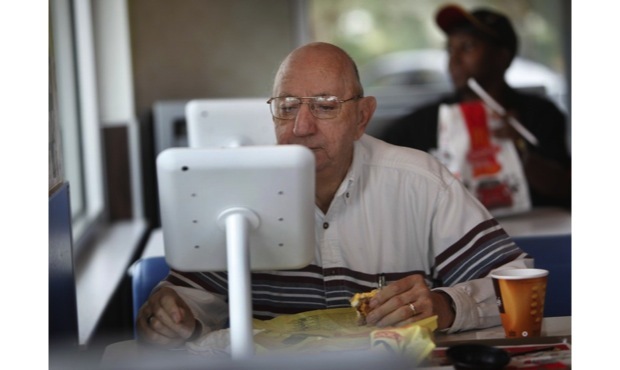 Yes, the tablets are mounted on tables, but after polishing off a hearty array of Mcfixings, you're likely to be bolted to your seat as well. Franchise owner Hugh Fard got the idea while attending the annual worldwide McDonald's convention in Florida. While it's great to see major eateries incorporating the use of new technology, we can only wonder just how greasy shiny those fancy Retina displays will be after spending a day under the golden arches. Virginia Beach McDonald's adds free iPad use to its menu, McRib still seasonal originally appeared on Engadget on Tue, 09 Oct 2012 22:10:00 EDT. Please see our terms for use of feeds.